How Can You Avoid Getting Stuck in a Job? Ever feel like your days, week after week, are the same? Wake up in the morning, go to work, come home, get in bed, wake up to go to work again. It can seem like you are taking part in the same mindless routine, and you’re disengaged and unhappy. If this is you, then it is time to refresh your perspective, starting with recognizing the signs that you are stuck in a rut, and in need of a change. In this video, I discuss ways to identify the wake-up calls that we can and should pay attention to—before work is unfulfilling and stress is out of control. You don’t have to be unhappy at work and you can bring purpose and passion back into your work life. SarderTV is an independent, educational media company, focusing on the subjects that fascinate, inspire and teach executives. 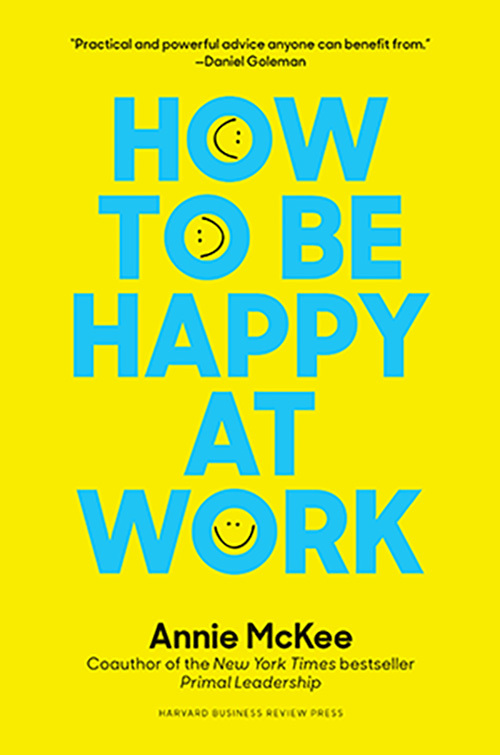 In this video series, best-selling author, respected academic, speaker and advisor to top global leaders, Annie McKee shares stories, tips and relatable, inspirational advice on How to Be Happy At Work. Based on extensive research and decades of experience with leaders, How to Be Happy at Work deepens our understanding of what it means to be truly fulfilled and effective at work and provides clear, practical advice and instruction on how to get there―no matter what job you have.